I absolutely loved this movie even though it is basically the story of how Ray Kroc stole pretty much everything from the *actual* founders of Mcdonalds. It was incredibly well done, the script was engaging and it grabbed me right from the start. In the latter half of the film, though, at the exact same time as I was loving it, I was so angry about the story it was telling me so beautifully. This is probably the best role I have ever seen Michael Keaton perform, and he does it incredibly well. The entire cast is fantastic but especially the Mcdonald Brothers, played by Nick Offerman	and John Carroll Lynch. My favourite part of the movie is when the Mcdonald brothers were telling their story of how they came up with the “speedee” system. I don’t normally put clips from the movies up here but this one was so brilliant I am going to share it. I almost feel like the Mcdonald brothers could have been a great movie just on their own. I deeply loved those guys and I wanted to spend more time with them. It felt a bit like Mike Ehrmanraut from Breaking Bad – I just want to watch that guy do anything, for hours on end. And in Better Call Saul they are indulging me – I got to watch Mike take a car to pieces last week, it was everything I dreamed it could be. The phone calls back and forth between Kroc and the Mcdonald brothers were pure gold. It is very hard to make that kind of stuff play on screen as well as it did. Nice guys finish last of course, and that is exactly what ended up happening to the Mcdonald brothers. 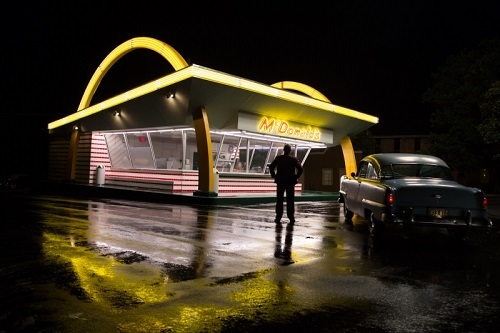 But even though you know from the get-go that this will be the eventual outcome, you spend the movie wishing it would turn out differently for them – and that Kroc would get what he deserves, which was NOT a massive fast food and real estate empire. I do recommend this movie. You will love it yet hate it but there is no doubt you will enjoy every minute of it, especially the precious minutes you will get to spend with the Mcdonald brothers. I was torn about whether I liked or loved this. 91% of it was loved- the costumes, the locations, the acting, all of this was brilliant. I did not like how it was told in flashback, it made the story quite confusing to me and especially how it ended quite abruptly and never really explained what happened to Charles Dickens or their relationship. As with so many movies now, I had to go and do some research afterwards to know more. And rightly so, how do you condense a 13 year affair into a movie? This is a story which might have been better told in miniseries form. This is a movie I would need to watch several more times to decide how I feel about it, so for now it sits squarely in the liked column. I will watch it again just because the costumes were so great. I never thought I would hate a movie with a cast as great as this, but BOY did I hate this. 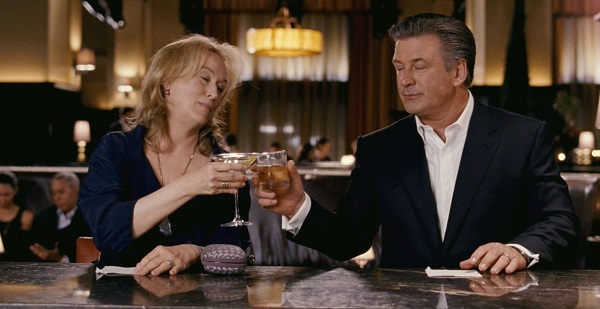 Meryl Streep, Alec Baldwin, Steve Martin, this should be a winner. It was most definitely not. I spent much of the movie cringing and debating whether I should stop watching this. Deeply terrible. Why did I keep watching this for an hour? WHHHHHYYYYYYYY? For the sake of completion? Because I wanted to know what happened to the characters? Thankfully, I did switch it off at 1 hour 7 minutes, and I deleted it from the hard drive soon afterwards so I could not be tempted to watch the rest of it. The movie did run for another hour and I am glad I did not waste that time watching it. When I checked it on IMDB I was unsurprised to find it was written by the same person who wrote The Intern. So now I have a writer to avoid permanently. One stinker is bad, two and you are OUT.